Bamboo rugs don’t resemble rugs we’re generally accustomed to seeing. A bamboo rug can be an area or accent rug, that’s either a square, rectangular or octagonal shape. Cheap bamboo rugs don’t hold up as well, but may suit your immediate needs. Care of a bamboo rug is easy; dust or wipe it clean, shaking out bits that get into the woven sections. Whether you buy an Anji mountain bamboo rug or some other kind, you have a durable rug to cover your floor. With the Zen-like style entering more home and office settings, you may want to incorporate bamboo rugs or a palm bamboo area rug into your flooring decor. Bamboo is relatively new to the flooring industry. 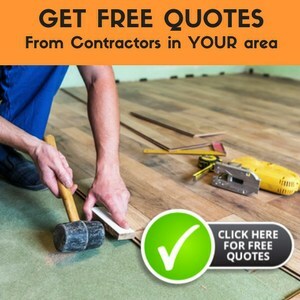 Compared to tile, stone, carpet, wood, laminate, and linoleum floors, it has lots to offer. It’s a renewable resource and good on radiant floor heating systems. Have you thought about using grass for your flooring? Well, you can do just that, if you select bamboo.